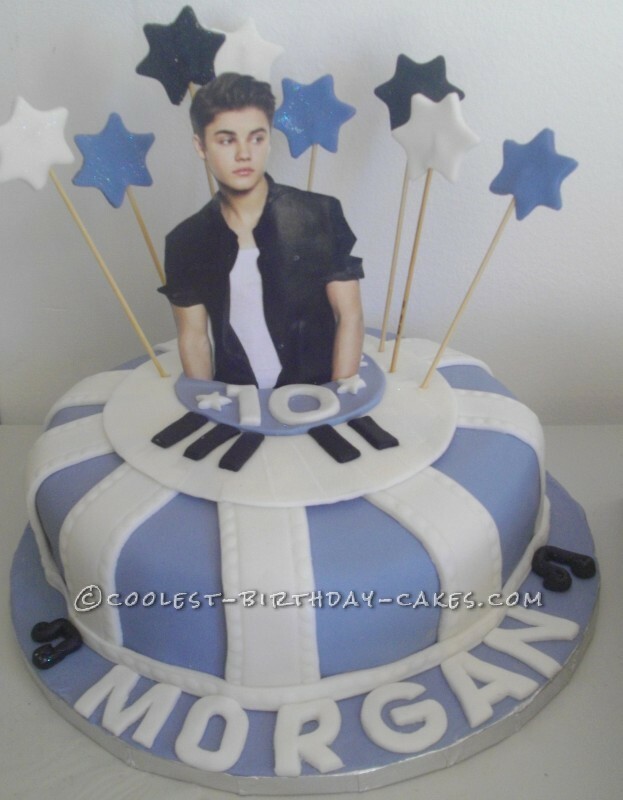 A friend of mine asked me to make her 10 year old little niece a Justin Bieber cake and I immediately had images of a purple and white cake in my mind and visions of him with his new hair style! Since I normally make cakes for toddlers I was excited to make a more “grown up” cake. Being in South Africa, trying to find someone who prints images on edible paper was a challenge and so I had to find another way to make it. I finally decided to print an image of him on board which I then attached to corrugated board. I then inserted toothpicks into the corrugated board and “voila” I had a cake topper. I covered a large round cake with purple fondant and made some stars on toothpicks and piano keys on the top for more effect. Thank goodness for a handy gadget which I purchased that cut out the fancy ribbons as these ribbons hide a multitude of bad, melting fondant coverage due an extreme heat wave we are having at the moment. 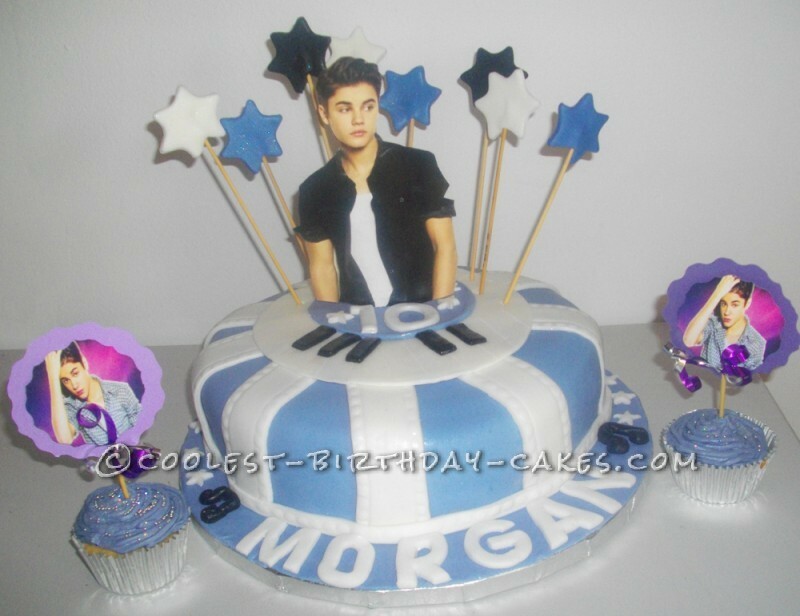 His new hairstyle even inspired me to make some matching cupcakes. It was a fun cake to make for an awesome little girl, hope she had a terrific birthday.